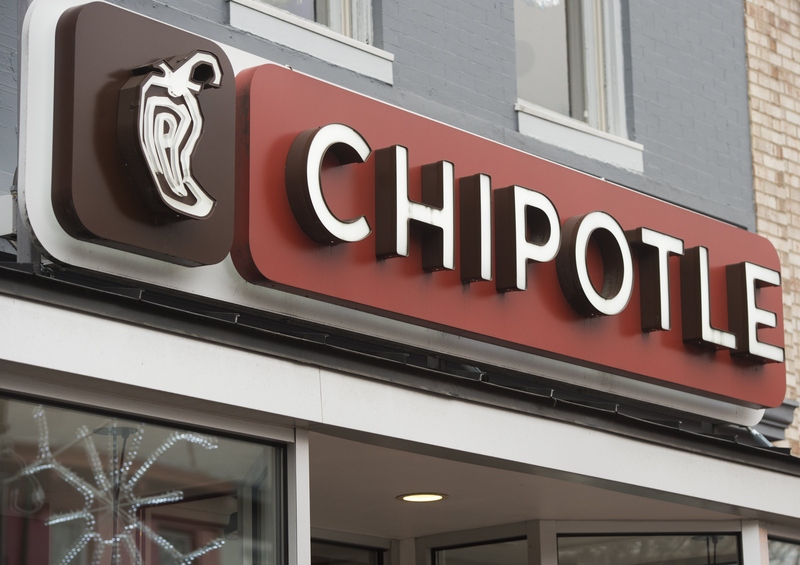 On Tuesday evening, Reuters reported that a Massachusetts Chipotle store outside of Boston temporary closed when four of the location's employees simultaneously became sick. The symptoms have not been connected to any particular food-borne illness, but the chain decided to take safety precautions nevertheless. Boston's Health Department added that it did not force the shutdown, cooling down any preemptive claims that another outbreak occurred. Chipotle spokesperson Chris Arnold released a statement via email and said that the store would be closed for a thorough cleaning. According to the spokesman, no customers have reported being affected by the store's product. No customer illnesses are connected to this restaurant. Any employee who reported feeling ill will be held out of the restaurant until they fully recover. Since October 2015, the chain of over 1,700 Mexican restaurants has struggled with E. coli outbreaks that have sickened over 50 people in over a dozen states. Though some victims were hospitalized after consuming the restaurant's food, no deaths were caused. In addition to the E. coli outbreaks, Chipotle also spread norovirus in Massachusetts and California. Boston College students were hit particularly hard with the virus in December— the Boston location infected 120 of them. Shortly after, in the beginning of January, Chipotle announced it was subpoenaed for criminal investigation by the U.S. Department of Justice and the Food and Drug Administration linked to norovirus cases in California. According to the CDC, norovirus is among the most prominent causes of food borne illness in the U.S. A person can fall ill after being exposed to just 18 tiny particles of it and it's frequently passed through the cross-contamination of raw and prepared foods. On Feb. 8, the restaurant chain encouraged safe and hygienic food preparation practice among employees when it closed from 11 a.m. to 3 p.m. to hold a mandatory meeting. The company said that over 50,000 of its 60,000 employees participated. We are extremely focused on executing this program, which designs layers of redundancy and enhanced safety measures to reduce the food safety risk to a level as near to zero as is possible. Until the four Boston employees' illness is confirmed, it's unclear whether or not these precautionary practices were effective for the business, which serves fresh, raw ingredients that are especially vulnerable to such infections.